The Trimetals Senturion range of metal gas storage units offer the perfect answer to the safe, secure and attractive storage of gas cylinders. 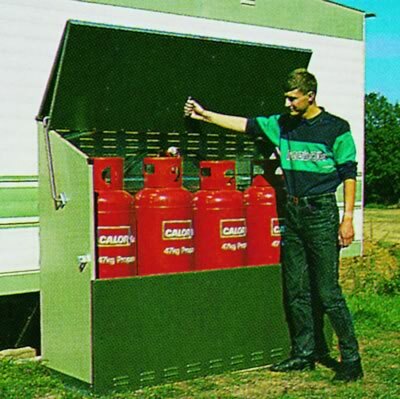 The sturdy fire resistant and lockable metal storage designs offer maximum safety and security for your gas cylinders. Special vents allow a free flow of air preventing a gas build up in the event of a leak and locking facilities keep your gas cylinders safe from tampering or theft. 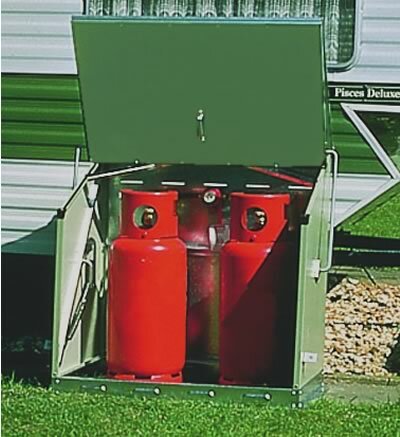 The 247 and 447 gas metal storage models feature a unique track base to ensure easy and correct placement of the gas cylinders within the unit. Additionally the four larger metal storage units feature fixing holes to accommodate a switch over valve / regulator which ensures the simple management of a multi bottle system. 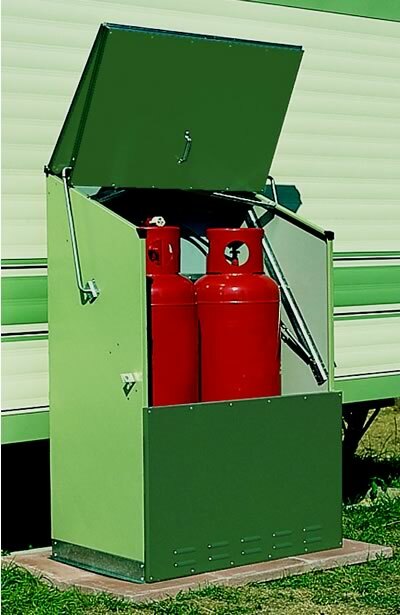 All the Trimetals metal gas storage units are produced in an attractive environmental green colour scheme, are easy to assemble and require no maintenance. These metal gas storage units come with a 25 year panel guarantee. The number of coloured dots represents the maximum number of gas cylinders you are able to store in the unit. Red dots are propane bottles and blue dots are butane bottles. If you require the 151319, the 071513 and 071513/S and the 045039 metal gas storage models, please contact us for prices. The Sentinel, 247 and 447 gas cylinder storage units are featured here.